Infront Sports & Media has secured Interwetten as a new Official Partner of the EHF European Handball Championships. Zug, Switzerland / Vienna, Austria, 17 November 2008 – The international sports marketing company Infront Sports & Media – EHF EURO marketing partner of the European Handball Federation (EHF) – has secured Interwetten AG, the Austrian-based betting company as a new Official Partner of the EHF European Handball Championships (EHF EURO). The sponsorship agreement covers both the women's tournament 2008 in FYR Macedonia (2 - 14 December) and the men's tournament in its home territory of Austria in 2010 (19 - 31 January). It contains a comprehensive package of rights, including board advertising, floor advertising and brand exposure in print media. In FYR Macedonia, Interwetten will also have its branding on the centre circle of the arena. 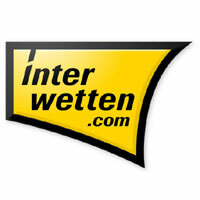 Interwetten plans to activate its involvement with handball with a range of promotional activities in Austria. It will also have its logo on the official Event Homepage www.ehf-euro.com and will be the presenting sponsor of the online video service section. Thomas Daubek, CEO of Interwetten commented: “This sponsorship offers us significant brand exposure and activation potential in our core markets. We believe in the further success of the EHF European Handball Championships and are proud to have our name connected to the products. The key principles of the sport of handball – dynamics, excitement, passion and strength are common to those of Interwetten philosophy, which is why the partnership will surely be deep-rooted and fruitful. Television coverage and audiences for the event have improved consistently throughout the EHFInfront partnership. The Men’s EHF EURO 2008, for example, notched up a cumulative television viewing audience in excess of 1.2 billion for the first time, with 1,000 programme hours of coverage. Overall, the tournament was broadcast in 85 territories – particularly in Europe, Middle East and Asia. The qualification system for the tournaments has been completely reformed by the EHF, as from the Men’s EHF EURO 2010. Defending Champions Denmark and hosts Austria have automatic right of entry. In addition, a total of 37 National Federations have registered for the qualification matches. Infront has also been appointed by the EHF to undertake a parallel marketing role for the qualification events for the period 2010 to 2015. Founded in 1990 as provider of sport betting via telephone, the company today has 110 employees and reached a betting turnover of about 300 million Euros in 2007. The internationally active company currently has more than 750,000 registered customers in 200 countries. In 2007, bets were placed on more than 90,000 different sports events in more than 70 countries. Altogether, 10.5 million sports bets were placed in the previous year. For the current business year, Interwetten is expecting a continuation of this success – also thanks to the strong international expansion. The number of placed bets is predicted to be 12 million and the betting turnover should increase to 345 million Euros.